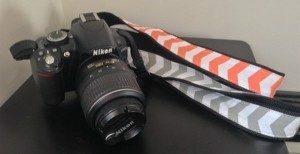 Chevron Camera Strap Only $9.99! You are here: Home / Great Deals / Chevron Camera Strap Only $9.99! What a great gift item for the photographer in your life! Chevron Camera Strap Only $9.99! This is so cool, fashionable and at a great price you can grab one in every color to coordinate with your bag or simply to give away or gift to friends!